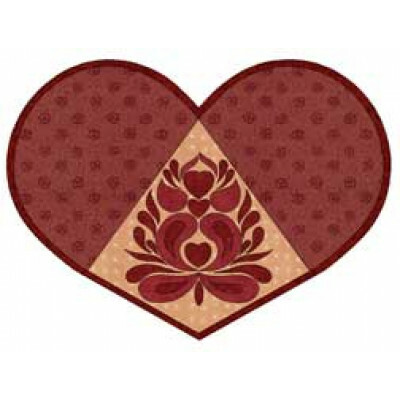 Perfect for a romantic Valentine's Day dinner, there's no need to limit using this elegant placemat to that one day a year! Don't limit the imagination. 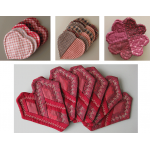 Mix and match fabrics and make 2, 4, or 6 placemats! This would also make a great gift. Finished size: 13 x 18"
The heart is a really easy shape to work with. Depending on the type of fabric used and the shape of.. Simple, elegant, and oh, so sweet. 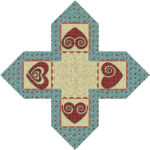 This lovely criss-cross table topper will give you a chance to pl..